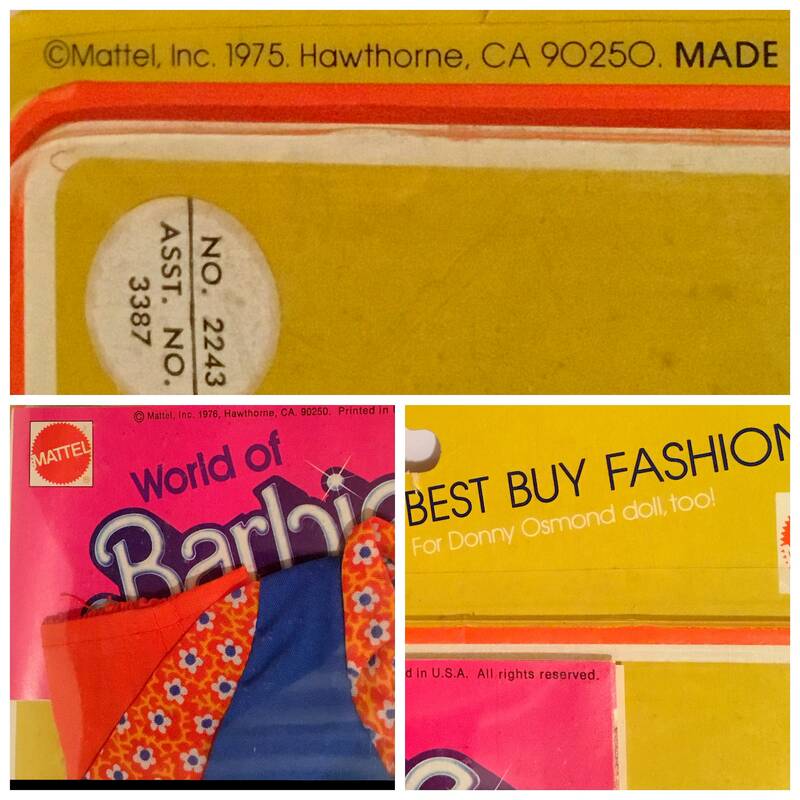 ...”For Donny Osmond doll, too! 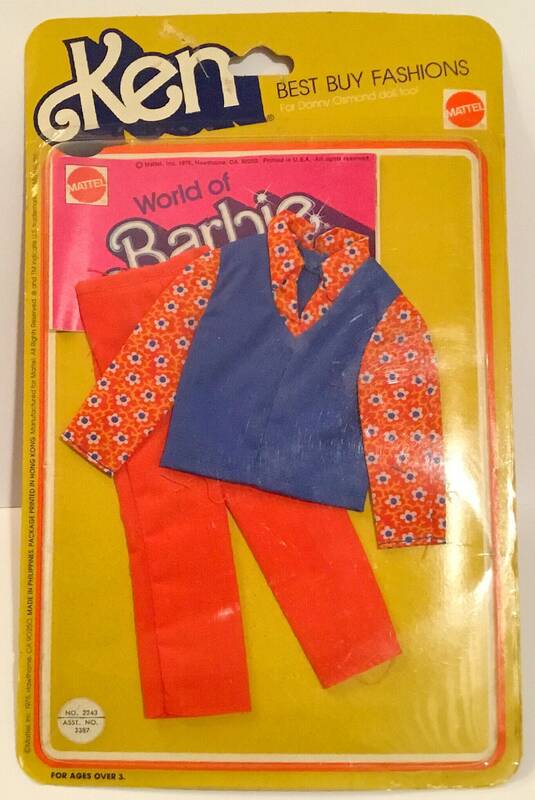 * DESCRIPTION: Vintage 2-Piece Outfit for the KEN doll. Part of the “Best Buy Fashions” Line of products. * ESTATE ITEM - previously owned, never opened. In original packing. *****TOP - Long sleeve shirt with collar. Patterned sleeves-, with a - Red with white & blue flowers, and orange accents.